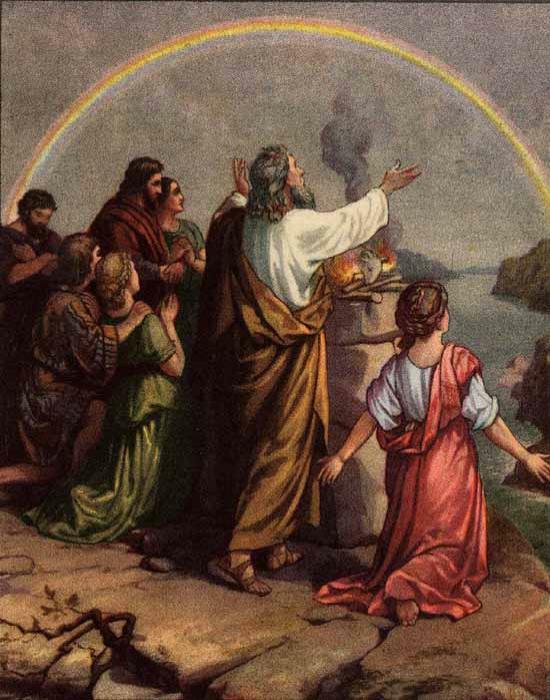 It was after the most awful storm and destruction that Noah and his family saw their first rainbow. What a comfort it must have been to them to know that the rainbow was the sign of God’s promise, that the waters should no more become a flood to destroy all flesh. Only God could make a rainbow and only God can comfort in a time of fear and sorrow. It was only a few months ago when my father was diagnosed to have a cyst growing in his lungs. All of us panicked. I even regretted my decision of extending for another year in my mission field, when I know how much my father longs to have me on his side. We prayed like we’ve never prayed before. We prayed that may everything be alright with him. Just when I got home, I met my loving Papang, twice thinner than he was before. But I saw a joyful countenance on his face, telling me of the hope he has in Christ. These instances ever remind me of God’s promises. I’m sure that in spite of floods, storms, fear, illnesses and sadness, all will be well someday if we only we put our trust in Him. Are there clouds of trouble or sorrow all around you today? Look for a rainbow and remember God’s promises. Thank you so much Vice….so comforting someone is praying for us…..
A friend once told me, that when we know that we doing His will and obeying His words…then we have the confidence to claim His promises.